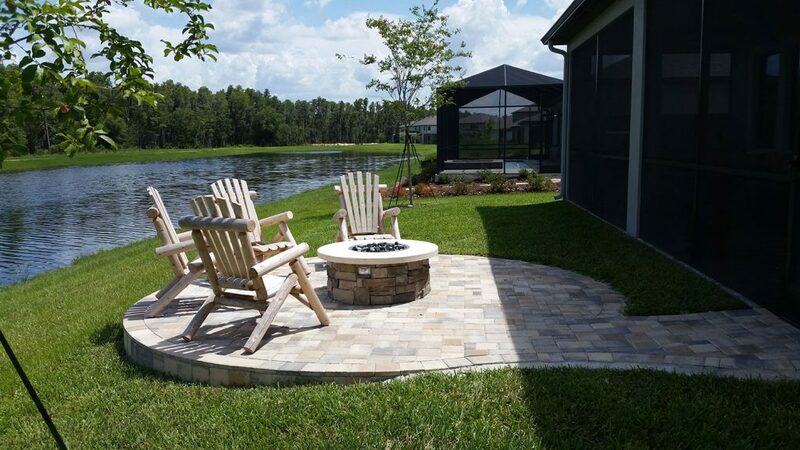 This client wanted to keep their backyard simple while sprucing it up for outdoor living. 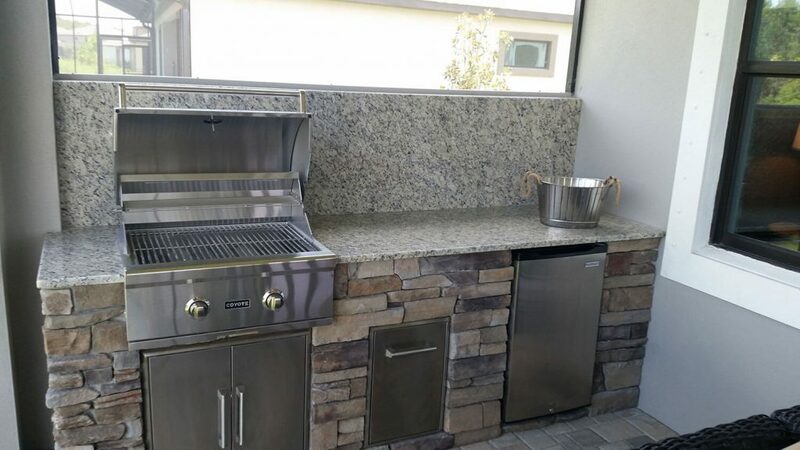 Just Grillin designed and built an outdoor kitchen and fire pit to bring their space to life. The kitchen is a small linear kitchen with premium appliances from Coyote Outdoor Living. To make areas match, we finished the face of the kitchen and fire pit with the same stone. The fire pit is a natural gas fire pit.